Taurine has been a controversial topic in recent years as high amounts found in popular energy drinks have been linked to several deaths. These same reports suggest taurine alone has no negative effects, but when combined in high amounts with caffeine and other synthetic products, it can have detrimental effects on your health. We naturally produce taurine which brings us to the question: What are taurine benefits? Taurine is one of the most abundant amino acids in our body, and the highest amounts can be found in our brain. Here, it assists the workings of essential calcium, sodium, potassium and magnesium through our cells. It can also be found in our muscles, heart, and eyes. We naturally make taurine with the help of vitamins, enzymes, minerals, and amino acids cysteine and methionine. It is produced in our pancreas and in the testicles of men. The additional amounts required for proper functioning of our brain and the liver come from outside sources of meat, breast milk, seafood, and sea vegetables. Patients with certain health conditions such as diabetes and heart disease may have a taurine deficiency and require additional amounts through supplements. It can also be found in large amounts in energy drinks as some studies indicate that it improves performance. For this reason, athletes and young people in particular are drawn to the drink. A higher than normal amount of taurine is also needed for strenuous physical activity and for serious health conditions such as heart disease and diabetes. Research studies conducted on athletes in both endurance and muscle strength has suggested taurine is key in performance levels. It appears to prevent cell damage and muscle fatigue by neutralizing excess oxygen levels and removing waste products. From this, taurine is also thought to boost the fat-burning process. 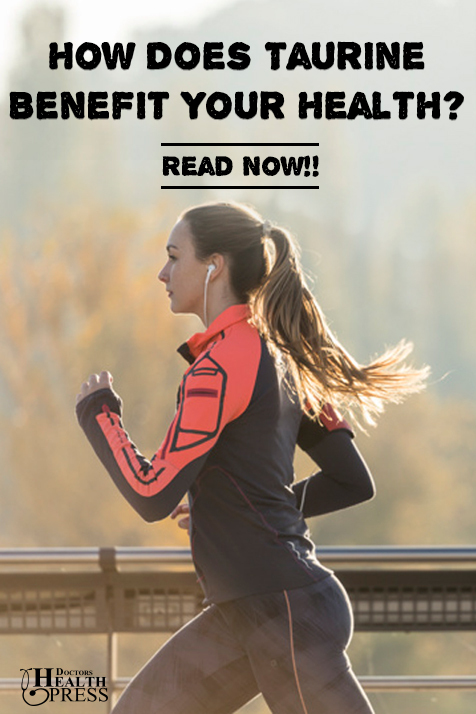 Studies have focused on long distance runners, cyclists, and weight-lifting athletes. Our heart depends on the use of taurine to combat high blood pressure, high cholesterol, and inflammation. In a study of overweight patients, it was found that by taking three grams of taurine daily over a seven-week period, the participants not only lost weight but also eliminated heart disease risk factors. Blood pressure needs to be regulated and studies have linked taurine to lowering high blood pressure. It may improve blood flow in constricted blood vessels and control the brain’s nerve endings that stimulate high blood pressure. Taurine may settle inflammation and thins the thickening in the arteries. Taurine has been found in lower amounts in diabetic patients and research shows additional amounts may help control blood sugar levels as well as blood pressure. Studies suggest that high levels of taurine may prevent type 2 diabetes by controlling blood sugar and promoting insulin use. Taurine may also improve the blood flow in type 1 diabetes sufferers. A study of young men with type 1 diabetes showed taurine supplements given to participants over a two-week period reversed blood vessel problems such as arterial stiffness. The recommended daily dosage of taurine seems to vary depending on the source. It can range from 500 to 3,000 milligrams dependent on any existing health conditions. Mayo Clinic suggests less than 3,000 milligrams each day for proper health function. The site further suggests there is not sufficient research to determine the outcome of ingesting high doses over a long period of time. By maintaining a diet of healthy foods, experts believe we should have an intake of 40 to 400 milligrams of taurine. Additional supplements can increase our intake up to 4,000 milligrams per day. As with the recommended dose, various resources offer contradictory information on possible taurine side effects. Most scientific studies show no harmful effects of a daily dosage of less than 3,000 milligrams per day. Several European countries have limited amounts of taurine in products in response to deaths of athletes. 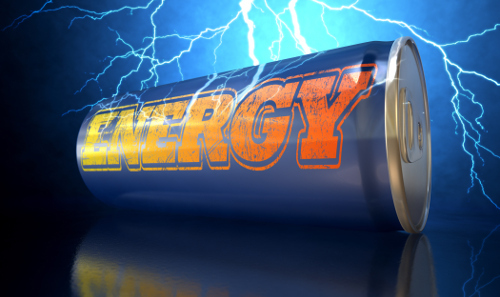 A few countries have taken further steps to ban energy drinks that contain taurine as these may have been linked to the deaths. Other taurine dangers from drinking energy drinks have been identified leading to death. Complications of heart disease, stroke, seizures, and high blood pressure have lead to bans as well. WebMD suggests taurine is possibly safe for both adults and children in safe dosage. This information is taken from studies for one year in adult participants and a four-month period in studies of children. With these studies, it was reported one adult male suffered brain damage with a daily dose of 14 milligrams of taurine combined with insulin and anabolic steroids. Findings as to the exact cause of death were inconclusive. The medical web site also notes insufficient research on the effects of supplemental taurine in those breast-feeding or pregnant.. The site suggests these groups should avoid taking taurine. Taurine is referred to as a conditional amino acid because it is produced by the body unlike essential amino acids, which must be acquired from external sources, or diet. It also does not help build proteins as is the primary role of other amino acids. Our body produces taurine to assist in the functioning roles of our brain, eyes, heart, and muscle groups. Most research limits the recommended amount as more studies are needed on the lasting effects of high doses of taurine. There is sufficient research to warn against the taurine amounts in energy drinks in combination with caffeine and other ingredients. Until we have scientific evidence on safe amounts, it is best to stick to the daily recommended amount of less than 3,000 milligrams daily. “Taurine,” Web MD; http://www.webmd.com/vitamins-supplements/ingredientmono-1024-taurine.aspx?activeingredientid=1024, last accessed March 23, 2017. Smith, Y., “What is Taurine?” Medical Life Sciences; http://www.news-medical.net/health/What-is-Taurine.aspx, last accessed March 23, 2017. Zeratsky, K., “Taurine is Listed As an Ingredient in Many Energy Drinks. What is Taurine? Is it Safe?” Mayo Clinic; http://www.mayoclinic.org/healthy-lifestyle/nutrition-and-healthy-eating/expert-answers/taurine/faq-20058177, last accessed March 23, 2017. Mawer, R., “What is Taurine? Benefits, Side Effects and More,” Authority Nutrition; https://authoritynutrition.com/what-is-taurine/, last accessed March 23, 2017. Pritchard, J., “Recommended Dosage of Taurine,” Livestrong, April 22, 2016; http://www.livestrong.com/article/157099-what-foods-contain-taurine/, last accessed March 23, 2017. Alban, D., “Benefits of Taurine: More Than a Performance Booster,” Be Brain Fit; https://bebrainfit.com/taurine-benefits/, last accessed March 23, 2017. Group, E., “Is Taurine in Energy Drinks Dangerous?” Global Healing Center, October 9, 2015; http://www.globalhealingcenter.com/natural-health/dangers-of-taurine/, last accessed March 23, 2017. Ito T., et al., Schaffer SW, Azuma J. “The potential usefulness of taurine on diabetes mellitus and its complications,” Amino Acids. 2012; doi:10.1007/s00726-011-0883-5. Moloney M., et al., “Two weeks taurine supplementation reverses endothelial dysfunction in young male type 1 diabetics,” Diabetes and Vascular Disease Research. 2010; doi: 10.1177/1479164110375971 Ra, SG, et al., “Additional effects of taurine on the benefits of BCAA intake for the delayed-onset muscle soreness and muscle damage induced by high-intensity eccentric exercise”, Advances in Experimental Medicine and Biology, 2013; https://doi.org/10.1007/978-1-4614-6093-0_18. Balshaw, TG, et al., The effect of acute taurine ingestion on 3-km running performance in trained middle-distance runners”, Amino Acids, 2013; https://doi.org/10.1007/s00726-012-1372-1. Zhang, M. et al., “Role of taurine supplementation to prevent exercise-induced oxidative stress in healthy young men,” Amino Acids, 2004; https://doi.org/10.1007/s00726-003-0002-3. Abebe, W. et al., “Role of taurine in the vasculature: an overview of experimental and human studies,” American Journal of Cardiovascular Disease, 2011; https://www.ncbi.nlm.nih.gov/pmc/articles/PMC3253515/. Militante, JD, et al., “Treatment of hypertension with oral taurine: experimental and clinical studies,” Amino Acids, 2002; https://doi.org/10.1007/s00726-002-0212-0. Murakami, S., “Taurine and atherosclerosis,” Amino Acids, 2014; https://doi.org/10.1007/s00726-012-1432-6. Luciano A. da Silva, et al., “Effects of taurine supplementation following eccentric exercise in young adults,” 2013; http://www.nrcresearchpress.com/doi/abs/10.1139/apnm-2012-0229#.WNP5szsrLIV.